Great Gift Ideas! Officially Licensed Products. Customer Testimonials: See our 5-Star Yahoo & Shopping.com Ratings! Great service... I ordered and received the shipment the following day. -S.C. The entire process was great! I found the items I wanted, ordered them, and checked out. I am a grandma who rarely uses the internet and this was my first internet buy. I will come back to Bowl-Bound again. -Donna L.
As a teacher, I give this site an A. I will come back to this site first next time! 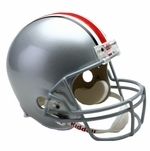 -Kathy H.
The Bowl-Bound Sports Store website has an extensive selection of items from multiple sports, both collegiate and professional. 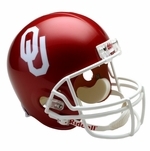 Bowl-Bound's prices are not only competitive, but considerably lower than similar websites. This was my first purchase, and certainly won't be my last! -Bob Z.